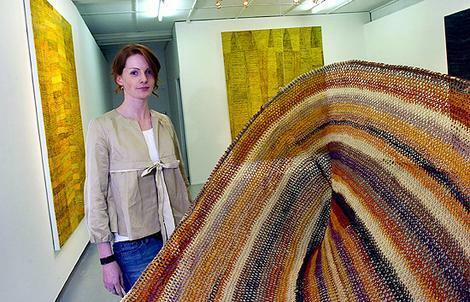 Latest in Aboriginal Art Flap: Carpet-Bagging? In mid July in the massive modernist Supreme Court in Darwin, a frail Aboriginal man with a shock of grizzled white hair and beard took the witness stand to give evidence in a case that goes to the heart of alleged "carpet-bagging"-dealers exploiting indigenous artists to make a profit-in the country's booming indigenous art trade. 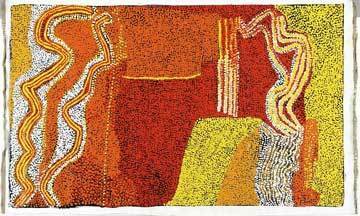 Tommy Watson , who only began painting five years ago, is one of the new stars of the Aboriginal art world; his 2006 work Waltitjatta sold for A$240,000 ($197,160) at a sale in May held by Lawson Menzies auctioneers in Sydney-an ­auction that also saw the first Aboriginal painting break the A$1m ($840,000) price barrier, the late Emily Kame Kngwarreye's Earth's Creation. 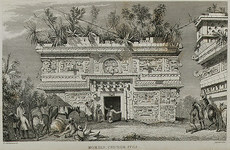 to the arts and civilisations of Africa, Asia, Oceania and the Americas. The case has been brought to the Northern Territory Supreme Court by Red Sand Art Gallery and its proprietors Peter and Nathan King, who are seeking damages for alleged defamation in two magazine articles. According to their counsel, Paul Heyward-Smith QC, the articles invited ­readers to consider them as "carpet-baggers" exploiting Watson. The defendants are Alison Harper, a former director of what was then Phillips Fine Art in Australia, who publishes the quarterly Australian Art Market Report, and journalist Jeremy Eccles, who wrote two articles in Harper's magazine in late 2005 and early 2006. The defendants claim truth, fair comment and qualified privilege. Tommy Watson was appearing as a witness for the defendants. Born around 1935 in the desert of central Australia, Watson cannot read or write, and speaks only a smattering of English. He moves between Irrunytya, a small community of 150 people described as "one of the most impoverished places on earth" and the town of Alice Springs, a day's drive away. 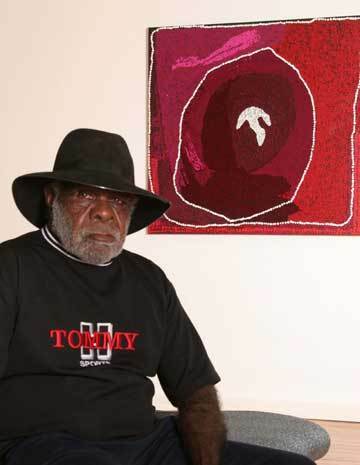 Speaking through an interpreter in his native Pitjantjatjara language, Watson told the court of his dealings with the Red Sand Art Gallery in Alice Springs in 2005 when his paintings started attracting attention from collectors. "I brought a lot of paintings in and I gave [them] to some mob and they didn't pay me," he said. Watson supplied the gallery with 41 paintings over four months, but how much money changed hands and how it was distributed is still to be established. Legal searches found that Watson's niece had received A$61,000 ($50,100) in cash and second-hand cars on his behalf, and the gallery later showed the court receipts showing that it had paid a further A$11,000 ($9,200) for used vehicles. At the time his paintings were selling for over A$30,000 ($24,650) each. Concern … Harriet Fesq, co-ordinator of the Durrmu Arts centre, with some of the art at the Chalkhorse Gallery in Surry Hills. THE [Australian] Federal Government's intervention in remote indigenous communities in the Northern Territory could devastate a lucrative industry and leave artists open to exploitation by carpet-baggers, leading indigenous art academics and artists' representatives say. They want to keep the Community Development Employment Project, which is being scrapped as part of the intervention, because the industry depends on it to support art centres and workers who do not earn enough to live on from inconsistent art sales. Jon Altman, the director of the Centre for Aboriginal Economic Policy Research at the Australian National University, said ending the program was likely to "jeopardise" the most successful indigenous industry. "Why would you undermine the most robust sector? [Art] is a huge drawcard for international tourists and has enormous spin-off benefits for the nation," Professor Altman said. As part of the intervention into Northern Territory remote communities, indigenous people will have up to half of their welfare payments quarantined by the Federal Government. But employment project payments cannot be quarantined because they are technically income. People receiving these payments will be moved to the lower unemployment payments, which are subject to quarantining, and receive top-ups to cover the difference. The Minister for Workforce Participation, Sharman Stone, told the Herald all art centres in the Northern Territory would be visited by departmental staff to see if some of their staff could be employed by the public service. "If there are artists who are able to sell their work and they are doing well they should be self-sufficient and they should be assisted to manage their income," Dr Stone said. Richard Birrinbirrin, a Ramingining artist and one of the producers of the AFI-award-winning film Ten Canoes, said: "Nearly all of our art centre workers and artists rely on CDEP payments, which have supported jobs in art centres for the past 20 years. Due to years of under-funding of indigenous education, many of our people are not job-ready and some never will be. 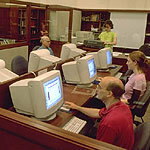 They do have meaningful work, though: their job is the expression and teaching of our culture. They are artists." Alan Murn, the manager of Julalikari Arts, said that moving artists to the work-for-the-dole scheme would require them to perform menial jobs such as cleaning communities instead of painting, and would reduce their base pay rate, making them more vulnerable to carpet-baggers. Professor Altman agreed, saying that if artists were working in other areas as part of the work-for-the-dole scheme they would be susceptible to carpet-baggers coming into communities and offering cash for artworks. A recent Senate report on the indigenous art industry warned about carpet-baggers, finding it was common practice for Aboriginal artists to be offered small amounts of instant cash for their paintings, much less than they would receive if the paintings were sold through an art centre or gallery. Harriet Fesq, co-ordinator of the Durrmu Arts centre in Peppimenarti, said that community was protected from carpet-baggers by its remoteness but the end of employment project payments would affect the industry across the Territory. "It's a fragile thing, having an art program and ensuring the artists are happy and comfortable so they can produce good work."